How to become a CARBIOS shareholder? To become a bearer shareholder, you can make a direct request to your financial intermediary (bank, financial institution, online broker, etc.) in order to purchase CARBIOS shares on your behalf and register them in a securities account opened in your name. 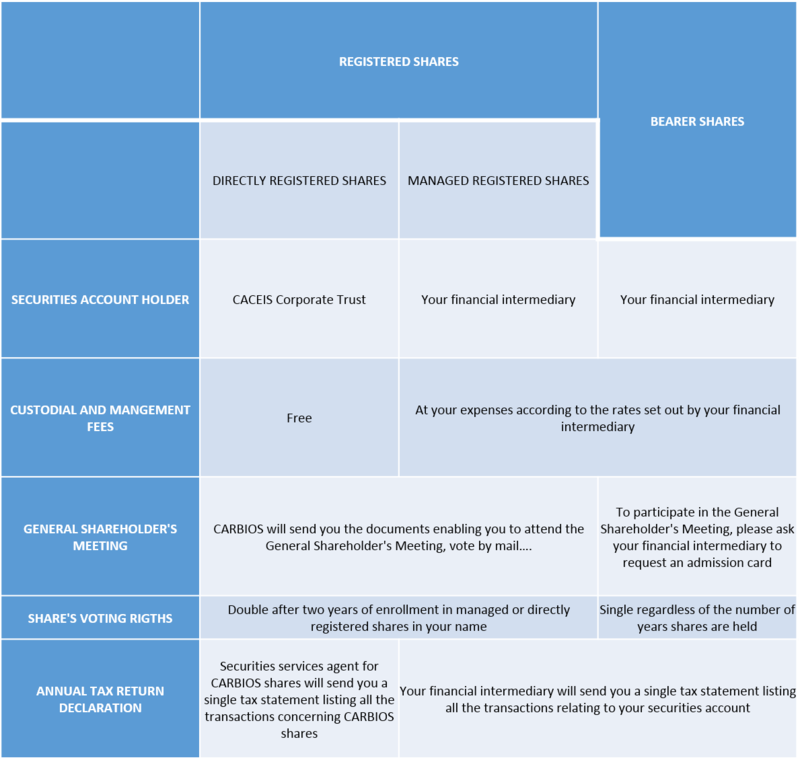 To become a registered shareholder, directly listed on CARBIOS’ books, you can contact our securities bookrunner, CACEIS Corporate Trust and they will send you the appropriate forms.